Fruzsi (pronounced froo-shee) is an Adelaide based artist and curator, best known for her quirky portraits on wood. She is a self-professed cat whisperer and avid nature walker. She keeps her Etsy shop well stocked and creates many private portrait commissions for customers worldwide. To inquire about getting a custom painting, please send message via the above menu. 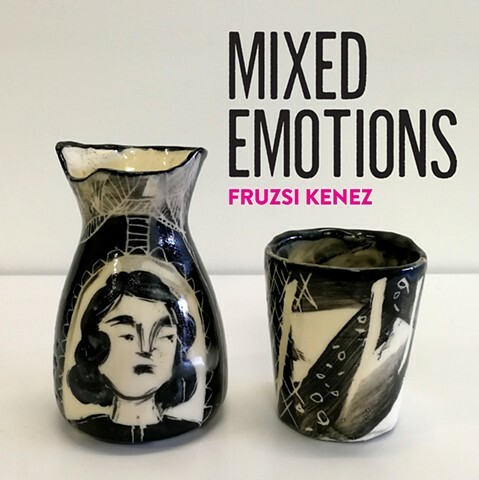 Fruzsi's solo exhibition 'MIXED EMOTIONS' opens at Urban Cow Gallery (10 Vaughan Pl, Adelaide SA) Wednesday July 4th (5.30 - 7.30pm), and closes on the 28th of July. Please join us for the opening! In September 2016 Fruzsi opened Peanut Gallery, Adelaide's newest artist run contemporary art space with her business partner Caroline Gliddon. To keep up to date, visit the artist facebook page. To glimpse behind the scenes and into the studio visit Instagram. Thank you to Historia Films for featuring me in their artist video series. View it here.